If you grew up in the 1990s, you probably had the best childhood. Yes, you lived in the best decade, and you have full permission to scream it from the rooftops – because ‘90s babies rock. Although there were struggles during this year, the ‘90s was also a time for change. The world was on the cusp of something magical, and we could tell that there were some major technological advancements on the way. Google was just around the corner, and we could smell it. However, the ‘90s didn’t stop there. This era was full of impressive music, fashion, culture, and some of the greatest moments in history. After all, who could forget the incredible day that Nelson Mandela was finally freed from prison? The day that NASA sent the Hubble Telescope into orbit – the telescope that is still providing us with a constant stream of space data today? Or what about the fact that we could watch sitcoms such as Friends and Seinfeld as each episode came out? Nowadays, Beyonce is the queen of everything. She is the queen of the world, she is the queen of the beyhive, and she is the leader we all need in our lives. Of course, you might not remember a time BB (Before-Beyonce) because she has made our existence so great in this world, but it might surprise you to learn that Beyonce was once in a band. Yes, Destiny’s Child was not just a myth but was a real thing that graced the world. What’s even weirder is that there were four of them. Who even remembers a time when there was four of them?! 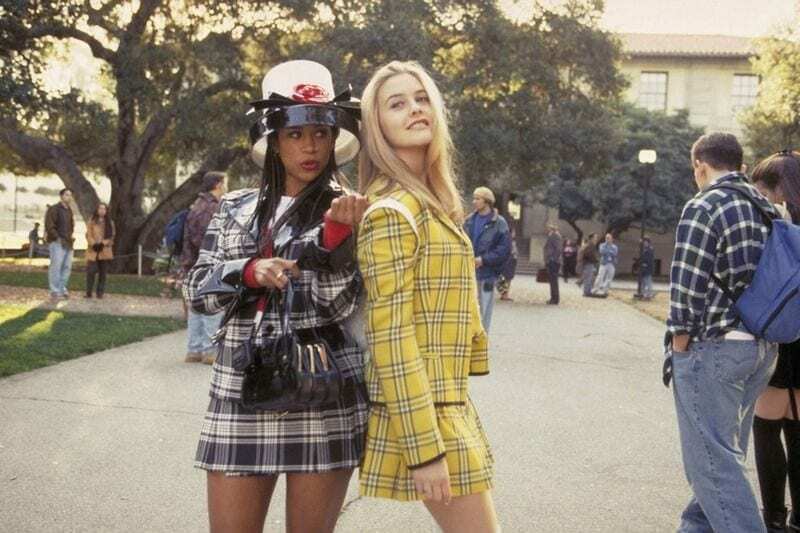 Ahhhh, if this isn’t the most ‘90s picture you ever did see, we don’t know what is. Dwayne “The Rock” Johnson is currently one of the coolest people you will ever meet. He’s hilarious, he’s handsome, and he’s got a good sense of style – finally! 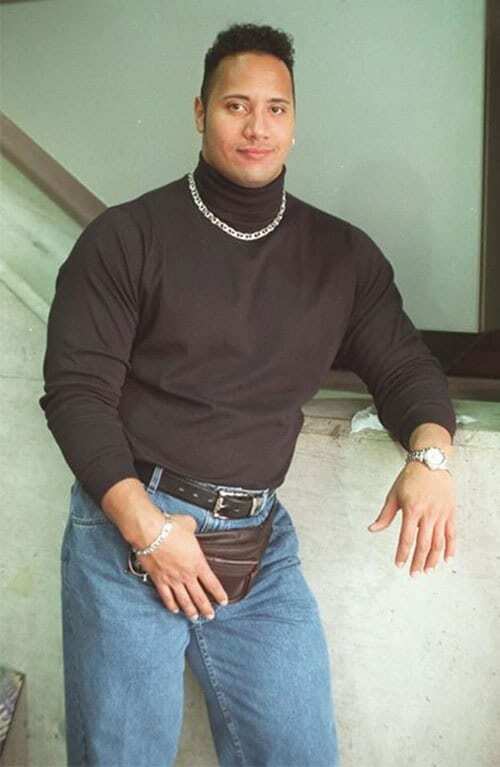 Before he became the Hollywood icon he is today, The Rock was rockin’ some intriguing outfits, and this one is still going viral today. We’re not sure what’s worse. Is it the stance? The fannypack? The turtleneck and necklace combo? It’s all too much. Being a kid was a little stressful. Sure, you got to sleep all day and do literally nothing except play and eat, but there were still a few things that got on your nerves. 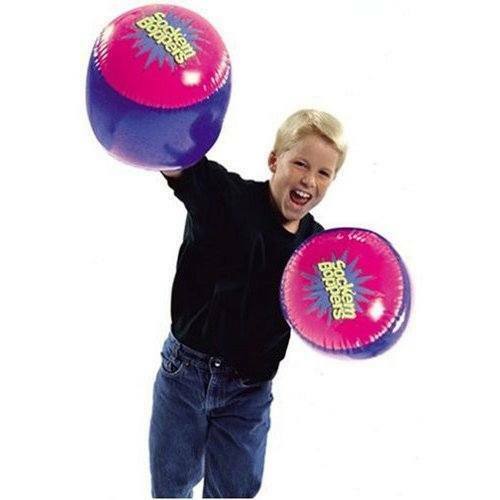 That’s probably why a genius decided to invent the Sockem Boppers. While they were classed as toys, we would now like to rescind that name and call them weapons – because these babies hurt. Just one Sockem Bop to the face would have resulted in a black eye and a hurt ego, and nobody wanted that. Okay, we have a mission for you. Although we love the fact that you’re reading this right now, we want you to take just a few minutes to get off your couch, get your hips swinging, and get into the groove of the Macarena dance – because we can guarantee you that you still know all of the moves. Los Del Rio’s “La Macarena” was released in 1993, and it was everything that we never knew we needed in the world. It made us happy and annoyed at the same time, and it still has that effect on us today. It doesn’t matter if you’re a fully grown adult right now, we wholeheartedly expect you to get super excited about this photograph. 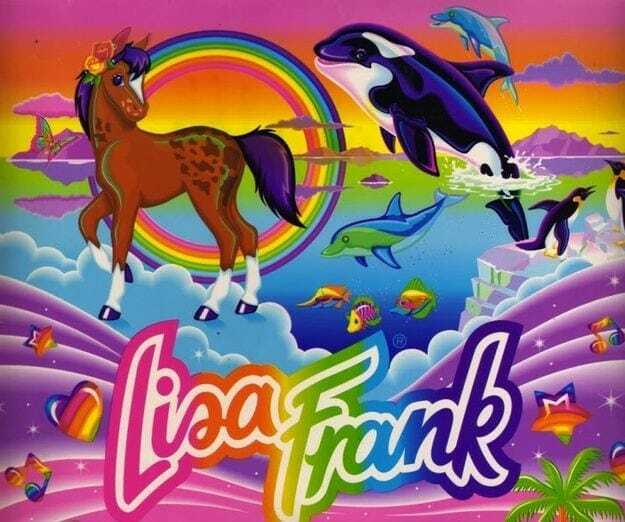 That’s because Lisa Frank was, and still is, epic. She makes our hearts full of color and light. Lisa was our best friend when we went to school in the ‘90s because she was the one who provided us with our colorful pencil cases, our folders, our stickers, and all of the stationery that came with it. She was a lifesaver, and we truly thank her for that. If you didn’t watch Mighty Morphin Power Rangers during the ‘90s, you totally missed out. This action show was one of the greatest things to ever come into our lives, and we still think about what these Rangers are up to now. 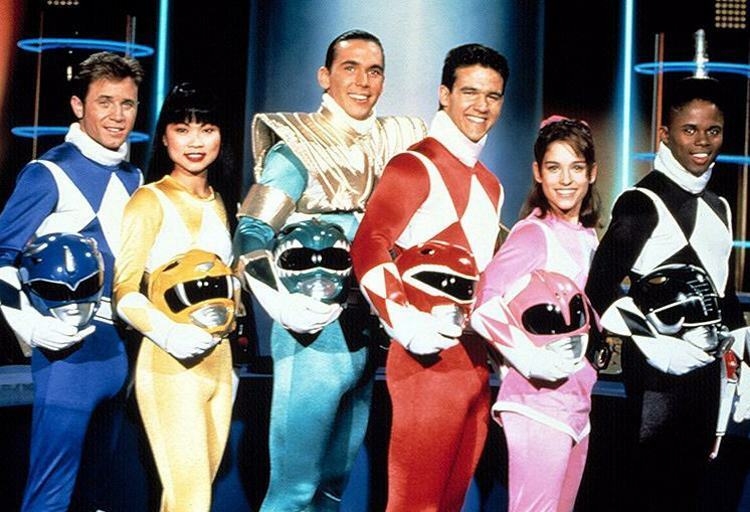 From their everyday lives in school where they battled the evil bullies to their epic adventures in their morphin’ suits, these guys had everything going for them. It’s safe to say that we all had our favorite Rangers, too. Ours was definitely the Pink Ranger. No doubt. Hands up if this is still your favorite movie of all time? Alicia Silverstone changed the movie game entirely when she popped up in the teen classic, Clueless. Not only were her outfits totally on point, but her personality was also ridiculously rufus. After all, she was just rollin’ with the homies. Everything about this movie made us happy, from the spinning electronic closet to the awful driving, to Turk’s little cameo, and just Paul Rudd’s face in general. In fact, we’re gonna go rewatch it right now. If you’re really connecting to this photograph, that’s probably because you’re feeling all kinds of emotions right now. 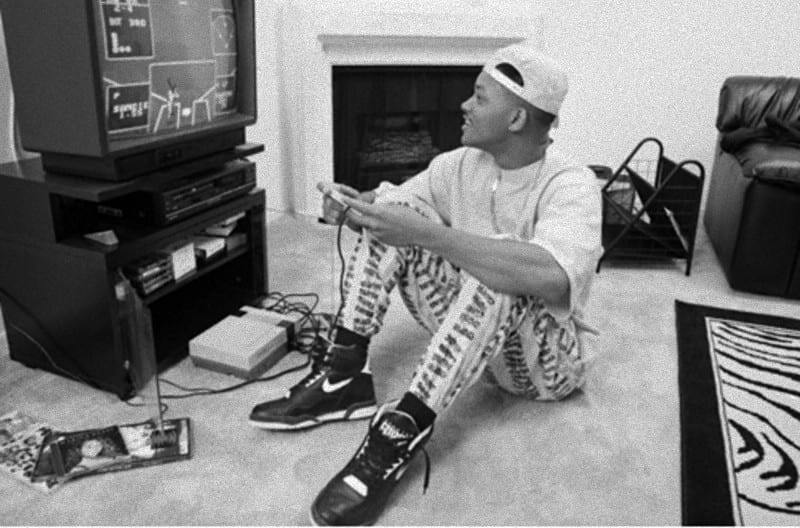 Not only are you pining over your old Atari console or your very first Nintendo Entertainment System, but you’re probably also pining for Will Smith wearing those clothes again. Gone are the days of The Fresh Prince of Bel-Air and watching Will’s life get flipped turned upside down, but at least we’ll always have this awesome photo as evidence of better times. We’ll just keep looking at it when we’re sad and need cheering up. What are you doing on Friday night? Going to a trendy rooftop bar with your work friends? Going to the movies with your significant other? Going for a walk with your dog? Oh, how times have changed. 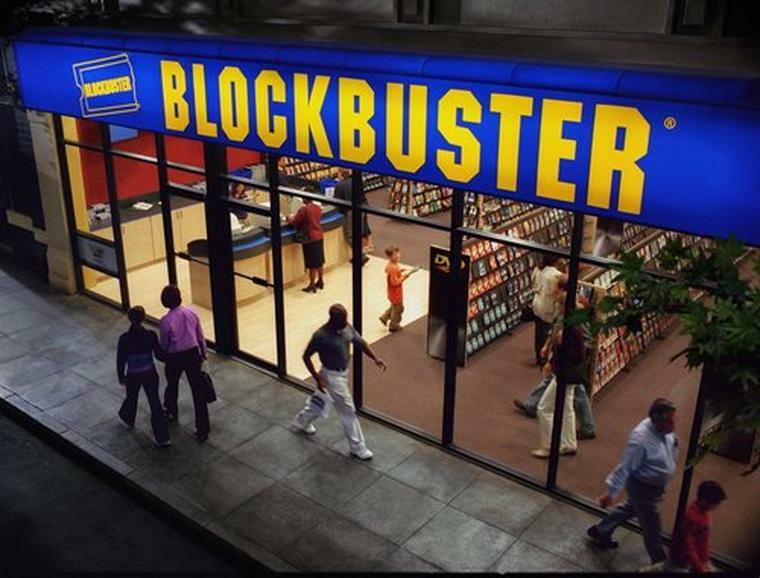 During the ‘90s, the ultimate Friday night experience was taking a trip to the local Blockbuster store. You would spend hours perusing the aisles and choosing the right movie for your weekend – and it wasn’t an easy decision, you know. One wrong move and your whole weekend would be ruined. It was a tough job, but someone had to do it. Do you remember these guys? We’ll give you a clue: They released a song that definitely wasn’t full of profound lyrics that really made you think about the world around you. Yes, this is Hanson! 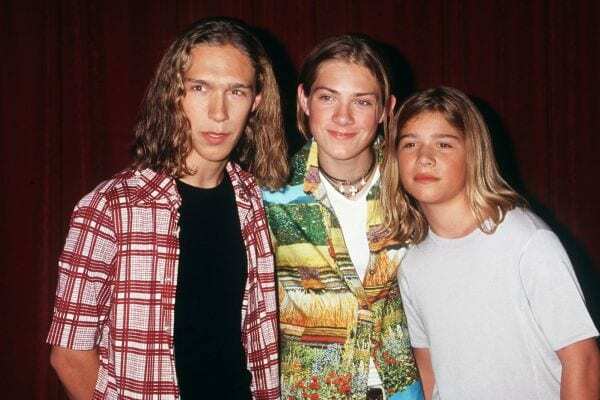 This one-hit-wonder band brought us one of the most incredible songs of the ‘90s, and we’ll bet you anything that you’ll spend the rest of the day with “MMMbop” in your heads. Although they were only young, these guys found a place in our hearts, and they’re still there today. If you’re a parent in today’s day and age, you might credit your parenting skills to these little guys. 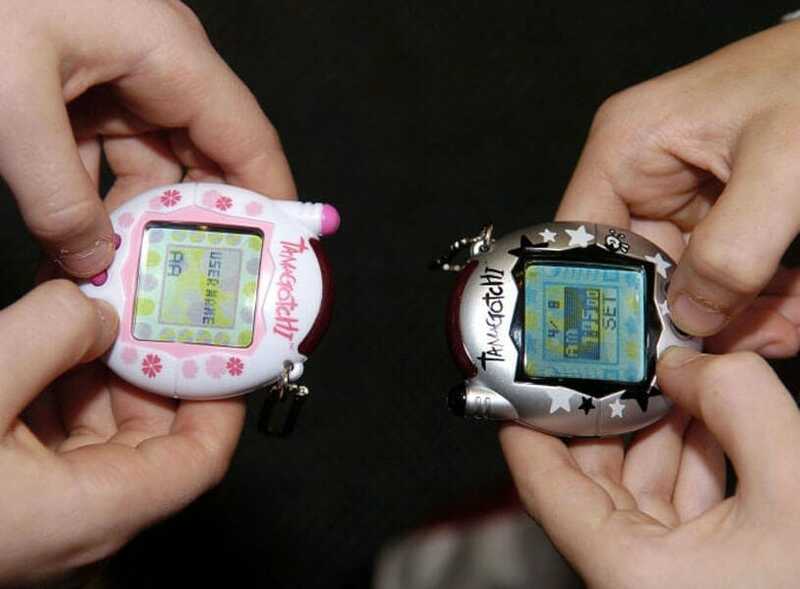 Tamagotchis were the ultimate ‘90s toy, and they immediately flew off the shelves when they were released in the late ‘90s. Before too long, every kid in town was walking around with sore thumbs and wondering why their animated animal kept passing away. What they didn’t realize was that they actually had to feed the Tamagotchi, so hopefully you’ve realized that with your own children. If not, you should be a little worried. Nowadays, we live in a world of Apple Music and Spotify where we can listen to music through our phones and even use wireless headphones! It’s amazing how far technology has come, considering the fact that we were using this monstrosity just a couple of decades ago. 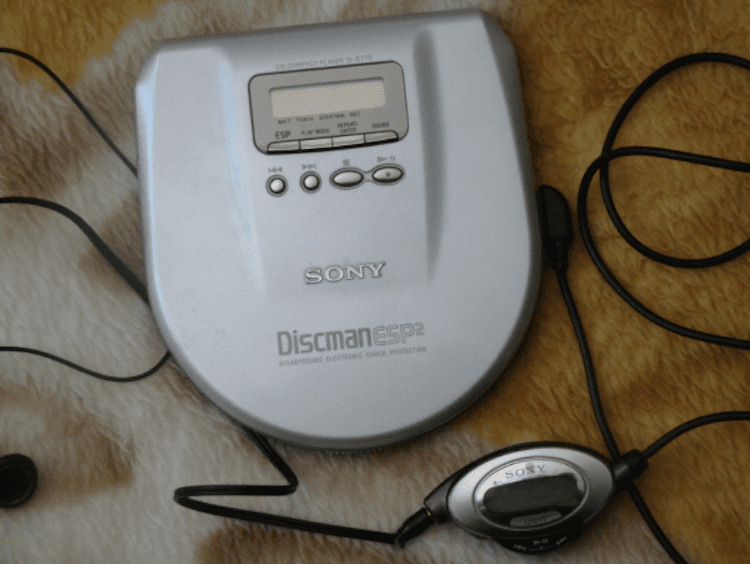 The SONY Discman was on the Christmas list of every kid during the 1990s, and we all wanted to be able to walk around and listen to music at the same time. It definitely didn’t fit in our pockets, but we still wanted one anyway. Ah, doesn’t this just make your heart so full? 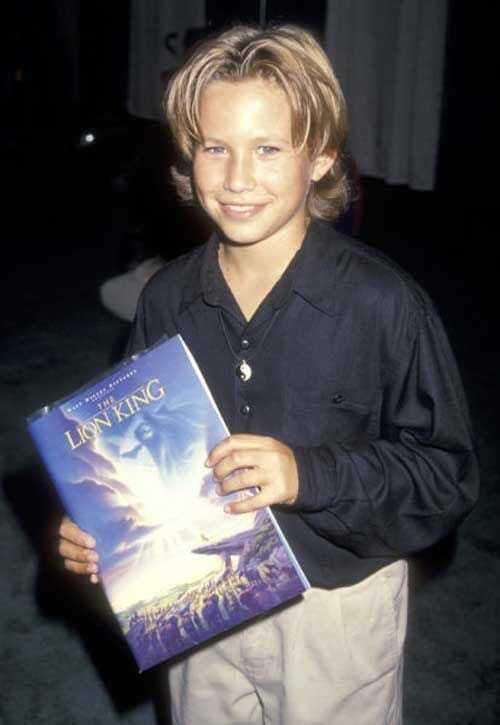 If you’re not sure who this is, let us introduce you to Jonathan Taylor Thomas. This little dude was the voice behind one of the most incredible characters to ever come into our lives during the 1990s. Yes, we’re talking about Young Simba in The Lion King. He was super adorable, his singing voice gave us all the feels, and we just wanted to give him a cuddle after what happened to Mufasa. In response to your question, yes we did have a poster of him on our teen bedroom wall. 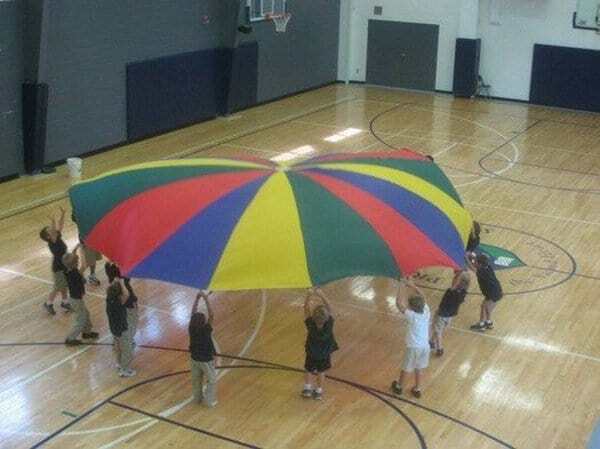 If you ever used one of these things during your gym class, you had such a cool childhood. We’re not really sure whose idea it was to have kids play with a giant multicolored sheet and call it exercise, but we loved it at the time. We would swish it up and down, we would crawl under it, we would jump on top of it, and it was endless fun. If you were lucky enough to have gym class right before recess, your teacher might have even been nice enough to let you play through recess too. Score! Before the days of Netflix and social media, we really did have to entertain ourselves. Our moms only gave us limited television time, and staring out of the window during a storm really did get boring after a while. Thankfully, we had this thing to keep us company. Although it may seem like a relatively simple contraption, this game had the ability to turn any lovely child into a demon – because it was extremely annoying. 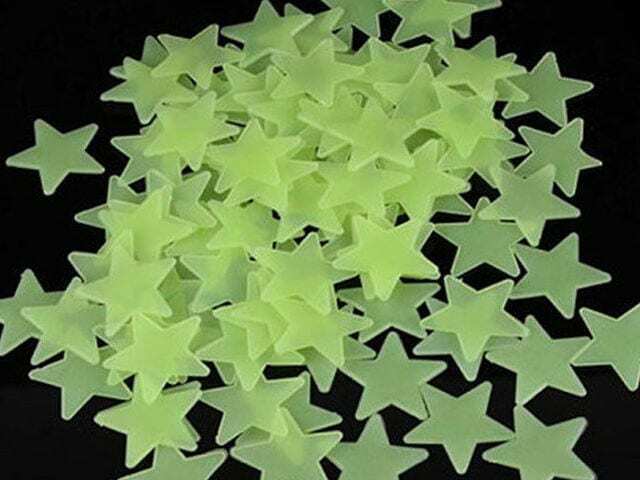 Nevertheless, it was totally addictive, and we just couldn’t give up. We wouldn’t give up. 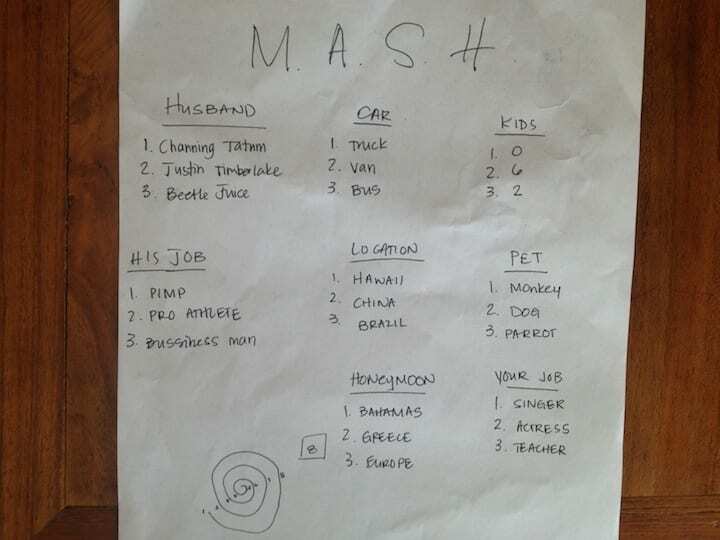 If any of you played this game when you were younger, we hope you’re currently reading this in the Bahamas, with your three kids, you Lamborghini, and Justin Timberlake – because that’s what MASH told you your future was going to be like, right? Although most of us knew that there was absolutely no truth to this pen and paper game, we couldn’t help but get pretty invested in the fact that we were going to be a professional candy taster. Life was going to be so good. Sigh. Don’t get us wrong; we love Justin Timberlake with all of our hearts. We think he’s brilliant. We think he’s a genius. We think he is basically a higher being sent from above to make us happy. However, we can’t help but look back at ‘90s Justin and wonder what happened. 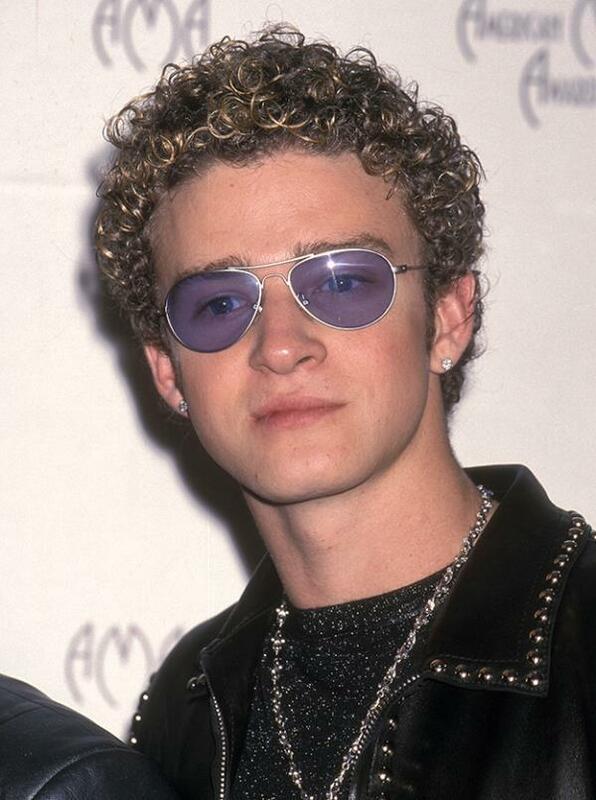 While we know that frosted tips and colored shades were all the rage, there’s something about seeing JT wearing it all that makes us a little freaked out. Why did he think that the noodle hair was a good idea? Don’t worry, Justin, we still love you. This 90s centered list wouldn’t be complete if we didn’t include a picture of the Chicago Bulls. Led by arguably the greatest basketball player of all time, Michael Jordan, they were pretty much the team to beat throughout the decade. They won six championships during that time period, and they may have won two more if Jordan hadn’t taken two years off. 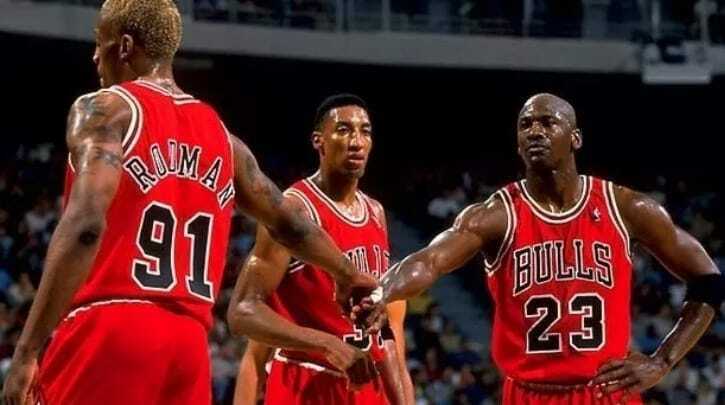 With other talented stars such as Pippen and Rodman, these Bulls were something truly special. 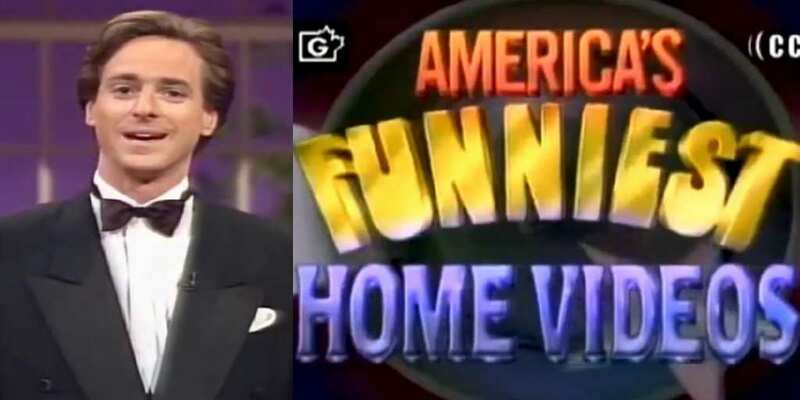 Anyone who grew up in America in the 90s remembers how exciting it was to see Bob Saget grace your television screen, because you knew it was time for America’s Funniest Home Videos, a show he hosted. 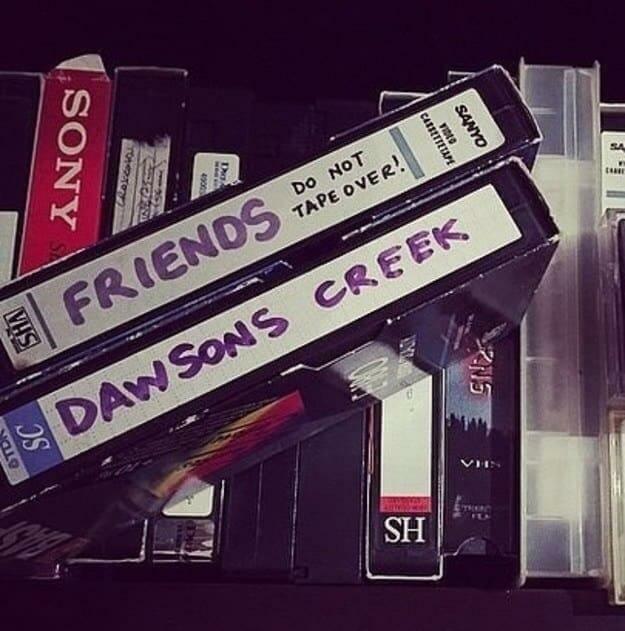 The show would collect hilarious home videos from all across America, and folks at home laughed hard when Saget would be narrator throughout it all. It also gave some people hope that they might be able to get their own video chosen. In 1998, we all fell in love with 15-year-old American figure skater Tara Lipinski, who won herself a gold medal in the women’s singles figure skating competition in the Olympics. Not unlike more modern young Olympian stars such as McKayla Maroney, she impressed us all with her ability to take down much older competition on the grandest stage of all. For those of you who are feeling nostalgic, Tara is currently a sports analyst and co-runs her own podcast with fellow figure skater Johnny Weir. If we had to guess who we thought was the biggest child star of the 90s, we’d have to ask for two instead of one. 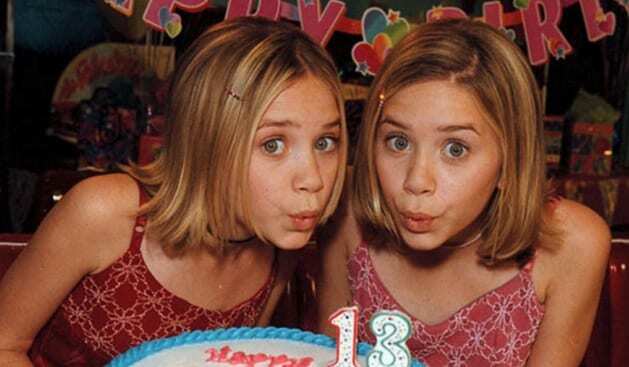 Mary Kate and Ashley Olsen, or the Olsen twins, were known for portraying cute little Michelle on Full House in the early 90s, and later starred together in countless teen flicks. This picture is from the late 90s, after they had already started to grow up a tad, but there is no doubt in our minds that these two were “everywhere you looked” back then. Another greatly popular show of the 90s was Home Improvement, and we can’t help but feel nostalgic from looking at this picture. Led by actor Tim Allen, the show provided a solid combination between good old fashioned toolwork, and some truly solid writing. The premise centers around Tim “The Toolman” Taylor, while we watch him host his own home improvement show called “Tool Time,” while simultaneously raising three awesome boys with his lovely wife Jill. 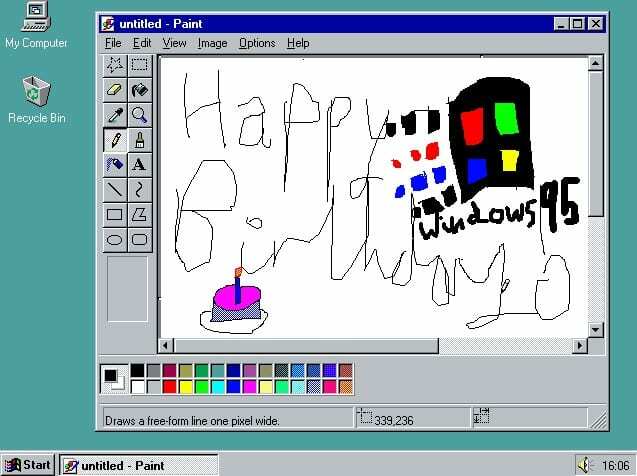 Years before laptops were the standard form of computer usage, most people had desktop consoles, and in the 90s, the operating system that everyone used was Microsoft 95 (Microsoft 98 would be released a few years later). Developed by Bill Gates, it was pretty revolutionary at the time, but you can see how outdated it is now. We love this screenshot because it depicts quite how innocent and fun it felt to doodle around on the “Paint” application. Yes, Steve! You did do that. A staple comedy sitcom of the 90s was none other than Family Matters, which centered around the Winslow family, who were constantly visited at their home by the wacky Steve Urkel. 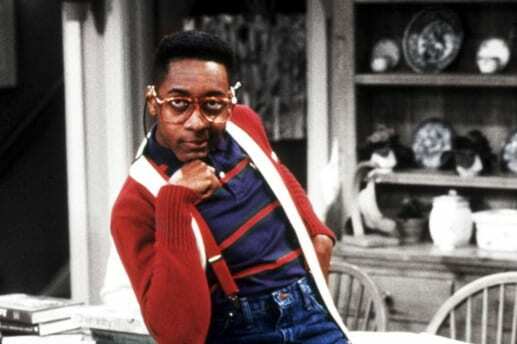 Played sensationally by Jaleel White, Urkel is one of the most classic television characters of all time, and remembered especially for his phrase “Did I do that?,” which usually comes right after he has done something catastrophically bad. Ahh, Nirvana. Considered to be one of the most influential bands of all time, their signature grunge sound was such a breath of fresh air in early 90s, after a decade of glammed up, metal induced, reverb drenched 80s bands. 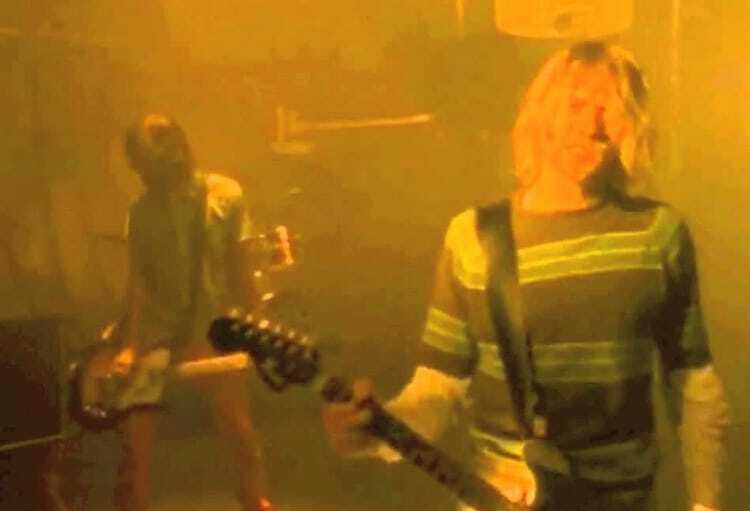 Led by frontman Kurt Cobain, the picture you see here is a snapshot from their hit song “Smells Like Teen Spirit,” which came to be something of an anthem for the troubled youth of America at the time. Another classic sitcom of the 90s was Saved By The Bell, a show that centered around the antics of Zack Morris and his gang of goofy misfit friends at Bayside High School. Throughout it all, they learn lessons about relationships, work ethic, and the hardships of all of the above. They certainly have an interesting band of characters, including that of Principal Richard Belding, Kelly the cheerleader, Jessie the feminist, fashionista Lisa, and of course Screech. Before the Major League Baseball league became overcome with the influx of investigations regarding the players’ usage of performance enhancing substances, the late 90s brought us some truly incredible players to watch – and we enjoyed every minute of it. 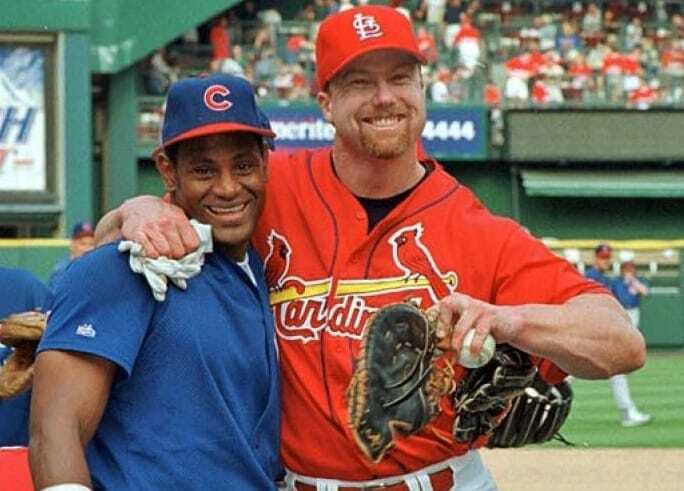 Two of these outstanding players were Mark Mcguire of the St. Louis Cardinals, and Sammy Sosa of the Chicago Cubs, who were setting a new precedent for home run excellence in the league. You all know Leonardo DiCaprio as one of the most famous actors in Hollywood, and for good reason… he’s starred in countless successful films. But only those who were around in the 90s remember that he used to be a child actor, appearing in films such as What’s Eating Gilbert Grape, and the television show Growing Pains. The screenshot you see here is from the latter, and although we were impressed at the time, we never know how high he would eventually soar. Beef among rappers has been going on for decades, and the feud between Tupac Shakur and Biggie Smalls makes the petty Twitter wars of the modern age look like child’s play. 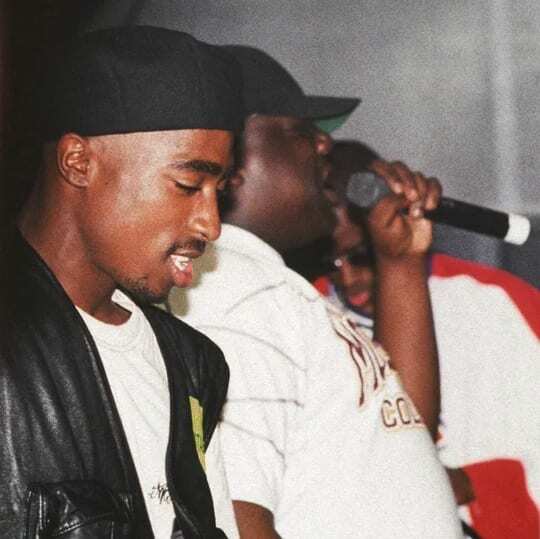 Not everyone knows this, but ‘Pac and Biggie were actually pretty good pals originally. It’s sad to see how heated their fight eventually got, and why it had to escalate into a West coast-East Coast thing. Either way, the presence of these two rap legends was a huge part of the 90s. Can things get any more nostalgic than the picture you see before you? 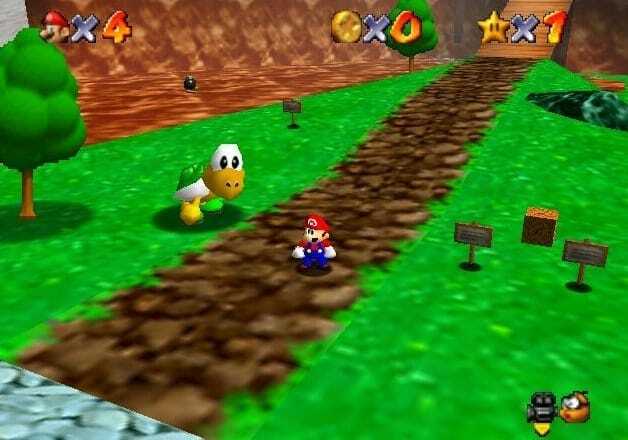 This is a screenshot from Super Mario 64, a Nintendo 64 game from the epic Super Mario franchise. That being said, you can’t understate the mindblowing feeling that people felt when this game came out. It may not look like much now, but the graphic you see here were literally off the charts in the 90s. People couldn’t believe how good it looked, and how fun and magical the game was too. This is a photo from the early 90s that hordes of NBA fans will never forget. 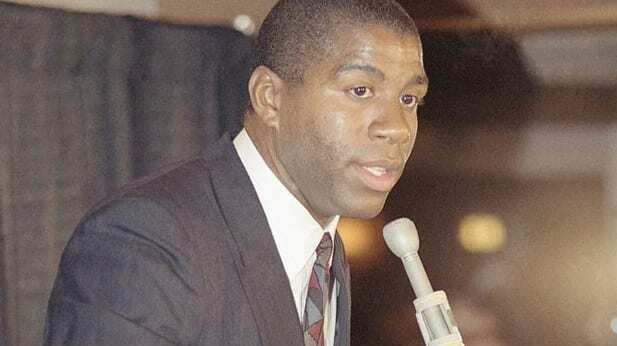 It is of Laker legend Magic Johnson, who released a statement to the public that he had contracted a well known illness that would ultimately force him to retire from playing basketball professionally. People had already fallen in love with Magic, and it wasn’t just because he won five championships in the 80s. It was his happy and positive spirit, and his contagious smile that we still get to enjoy today. Arcades still exist in rare family fun centers, and in the occasional throwback style mall, but in the 90s, arcades were a common fun thing to go out and do on your typical Saturday night. 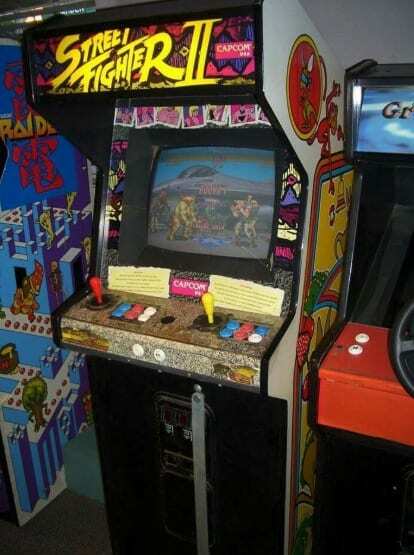 The arcade game you see in this picture is Street Fighter 2, a game that was a fan favorite to say the least. 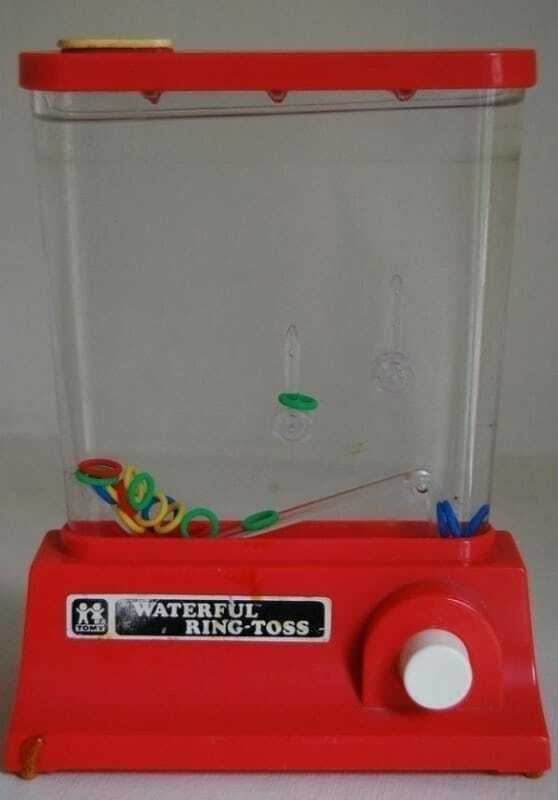 If you were looking to play for at least at hour, you needed to make sure that you had at least 20 to 30 tokens on hand. Otherwise… back of the line. Sometimes a movie comes along that is so different, so bizarre, and so creative, that it sticks with you in your mind for years and years, and can even influence the way you act around people. Such was the case with Wayne’s World, a comedy film that was released in 1992, starring comedians Mike Myers and Dana Carvey. 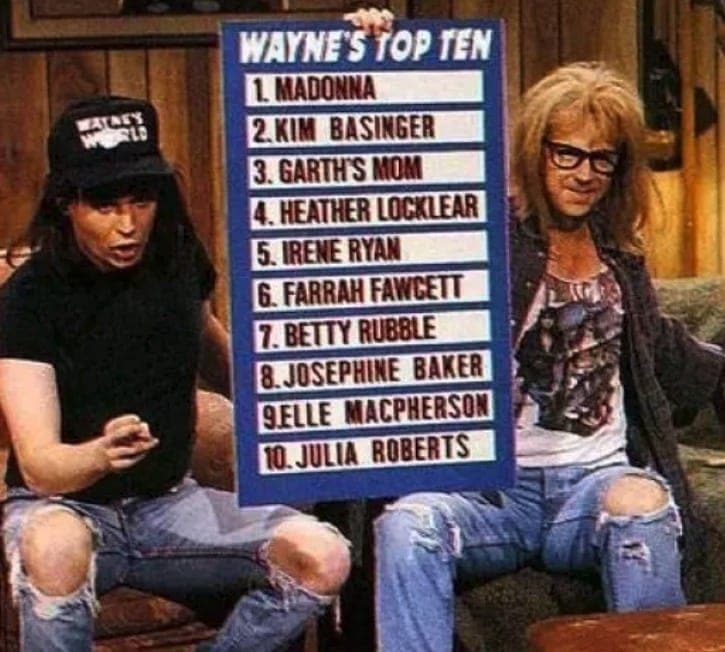 The picture you see here depicts their identifiable ridiculousness in a nutshell, with Wayne’s “Top Ten” women he’d like to be with. You gotta love Chris Farley. 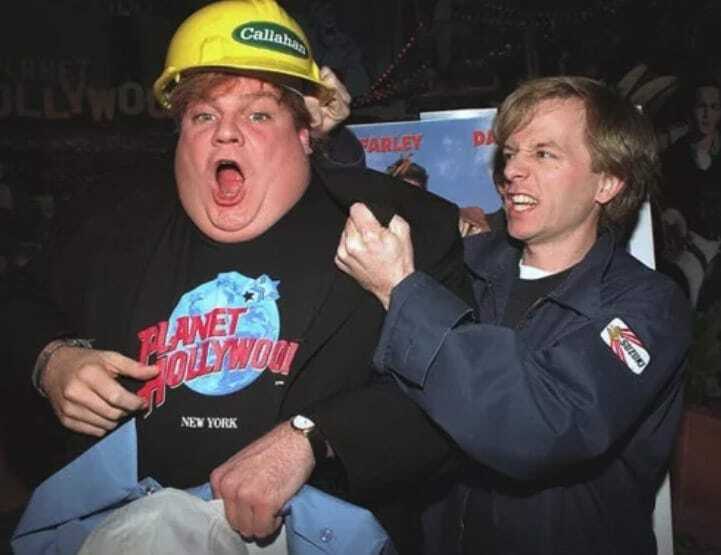 The genius comedian and actor is no longer with us, but he will always be remembered for some truly classic 90s films that he starred in, such as Tommy Boy, Beverly Hills Ninja, and Black Sheep. David Spade is an actor who performed alongside him in two out of those three movies, and that’s why this picture depicts that time so well. The expression Farley has here is so classic to his persona you just can’t help but smile. Well if it isn’t a snapshot from Friends, one of the greatest sitcoms of all time, and certainly a staple of the 90s. 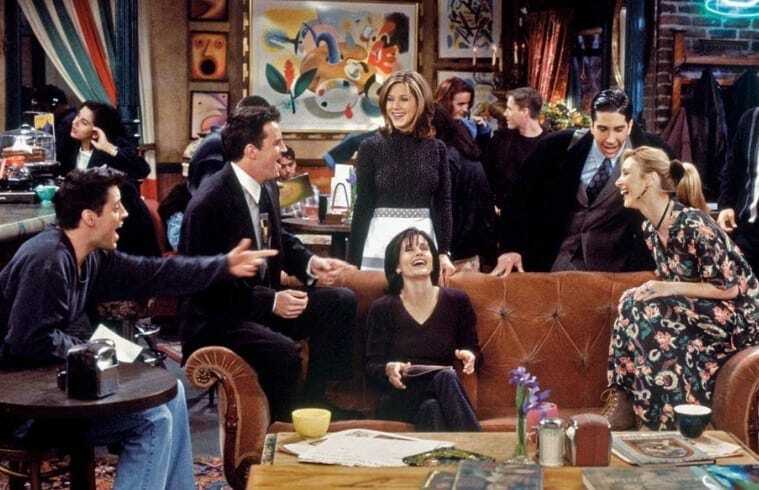 With the lovable Joey, the sarcastic Chandler, the innocent Ross, the competitive Monica, the goofy Phoebe, and the witty Rachel, the world fell in love with Friends just as the characters were all falling in love with each other. We thought it would be fitting to show you a picture of them in Central Perk, the coffee house where they’d regularly hang out. 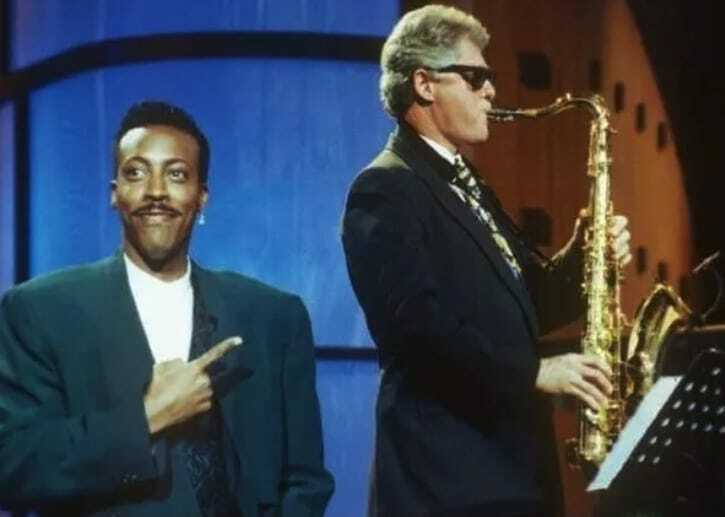 Talk shows have been a prominent part of television for decades, and in the early 90s we regularly tuned into the Arsenio Hall Show. After making a solid dent into the Hollywood and comedy industry after appearing in films such as Coming To America, alongside fellow comedian Eddie Murphy, he began to spearhead his talents into his own show. Although it only ran for about five years, we were happy to enjoy his presence on screen while we could. 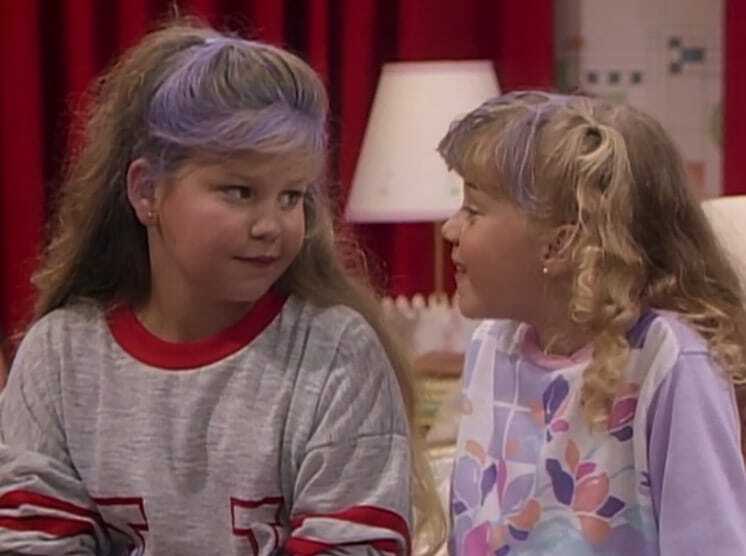 We already referenced Mary Kate and Ashley, but they weren’t the only stars of Full House. If there’s a sitcom that best reflected family wholesomeness, it was this show. How could it not, with so many people under one roof. DJ, Stef, and Michelle were just the tip of the iceberg. 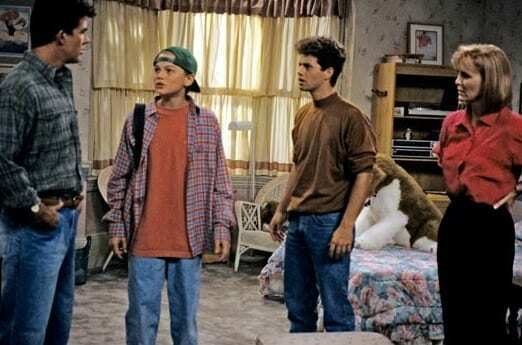 What really brought the show full circle were the Tanner family’s influx of parental guardians, such as Danny and his two brothers, comedian Joey and party dog Jesse.